William Partridge, ancestor, was born circa 1615 in Olney, Buckinghamshire, England. Olney is a market town on the Great River Ouse, it was first mentioned in the Doomsday Book as Ollanege. Olney is famous for it's Shrove Tuesday Pancake races and for being home to the Clergyman John Newton who wrote the hymn "Amazing Grace". William's story starts with a different Clergyman; William Worcester. William Worcester was Vicar of St. Peter and St. Paul parish church in Olney from 1624 until 1636, a time of great religious upheaval in England. In 1633 King Charles I reissued his father's "Book of Sports" which encouraged games and play on Sunday. This was a hot button issue for "Non-Conformist" or Puritan ministers who deemed it a violation of the Sabbath. The King issued a letter that was to be read from the pulpit concerning this book and many ministers refused to read it. William Worcester was among those suspended from his duties for refusing. In 1630, with the sailing of the Winthrop Fleet, the Great Migration had begun. Many of the emigrants to the Colonies were parishioners who followed their Puritan leaders to establish a new order in a new world. By 1638 William Worcester had gathered those of his congregation who were like minded and made the crossing to start anew in the Massachusetts Bay Colony. William Partridge was one of those who took up the call to settle in the Colony and start a new life for his family. After the long and exhausting sea voyage the Partridge and Gaines families did as many newcomers to the Colony, they stopped briefly in a coastal town to recuperate and got the lay of the land. The two families stayed in Lynn, Massachusetts for a short time on arrival. The Gaines family chose to remain in Lynn, while the Partridge's followed William Worcester to the new town of Colchester, soon to be known as Salisbury. Both Henry and Jane Gaines were dead by 1645, leaving two young boys. The Reverend William Worcester was a prominent man in the new settlement of Salisbury, Puritan Ministers were the political as well as spiritual leader of the new society. Town lot sizes were assigned based on the ability to pay, William Partridge received a small lot, William Worcester on the other hand received one of the larger lots. The house lots were from one to four acres gathered around a large ring road, to provide safety in numbers. The townsmen were also given land on which to grow crops, graze animals, cut timber, etc. The goal of the new settlers was to quickly build a house and get crops into the ground. A rough cold winter was just around the corner. A meetinghouse and church also had to be built. Men had to be armed at all times and to be on guard for Indians and wolves. In 1643 there were 30 towns in the Bay Colony and the area was divided into four counties. Salisbury was included in Norfolk County along with Hampton, Dover, Haverhill, Strawberry Banks, and Exeter. The court was held in Hampton (which is now part of New Hampshire). The townsmen quickly established a form of local government, began record keeping, appointed leadership roles, a constable, and other jobs that were necessary to maintaining order. William's name doesn't crop up to often in the records. In 1645, he and two other men were chosen to lay out the highway to the beach. A year or so later he was assigned to work with the Prudential men to help settle a matter dealing with Carr's Ferry. In 1649 William was chosen as town constable, he turned it down and was fined 20 shillings for doing so. William was again fined in 1650, this time for writing in a different name for constable other than the "accepted candidate". 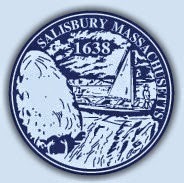 By 1654, the year of his death, Salisbury had gotten so crowded that they decided to start a new town called Amesbury. William died on 5 July 1654, a man in his prime, his widow Anne was left with seven young children, including an infant. She quickly remarried on 1 January 1655. Her new husband was widower Anthony Stanyan of Hampton. Presumably, she relocated the family to Hampton at that time. Anthony Stanyan was born in 1611 in England, he came to the colony in 1635 on the ship "The Planter". He lived in Boston and Exeter before finally settling down in Hampton. He was very active in the administration of the town. He was called "Mr" Stanyan, which was a sign of affluence and respect at that time. Anthony helped Anne secure the inheritance left to her children from their grandfather John Partridge. He had at least two children by his first wife, it doesn't seem that he and Anne had any children together. Anthony's son John married Mary Bradbury in 1663, she was the sister of Jane Bradbury (ancestor) and daughter of Thomas and Mary Perkins Bradbury (ancestors). Anthony died in Hampton before February 1688/9, age about 77 and Anne died on 10 July 1689. If William Partridge, Sr. failed to make his mark on history, his son, William Jr. made up for it. The following letter is taken from the New Hampshire Provincial Papers. It is a letter from King William III to William Partridge appointing him Lt. Governor of New Hampshire. Commission of William Partridge, Esq., Lieut. Governor of the Province of New Hampshire. William the Third by the grace of God, King of England, Scotland, France & Ireland, defender of the Fayth &c. to our trusty and well beloved William Partridge, Esq. Greeting. Wee Reposing especiall Trust & Confidence in your Prudence, Courage & Loyalty, have thought fitt to nominate and appoint, and we do by these presents nominate and appoint you the said William Partridge to be our Lieut. Governor of our Province of New Hampshire in America: To have, hold, exercise& enjoy the said office and place of our Lieut. Governor of our said Province of New Hampshire, with all the Rights, Privilidges proffits & advantages to the same belonging and appertaining, for and during our pleasure, to be at any time signified under our Royall Signett & Signe manuall, which said signature shall to all intents & purposes, revoke and make null this our Commission. And in case of the death or absence of our Governor in cheife of our said Province of New Hampshire for the time being, Wee doe hereby authorize and require you or such other our Lieut. Governor as we shall at any time hereafter appoint under our royall Signett & Signe mannuell to execute and pcrforme all and singular the powers and directions contained in our commission, ranted or to be granted unto our said Chiefe Governor or now in force or such instructions as he hath or shall at any time receive from us, and you are to follow such orders and directions as yon shall receave from our Sd Governor in Chief of our said Province of New Hampshire for the time being. And we doe heerby command all and singular of our officers ministers & Louving subjects of our Sd Collony and dominion and all others whom it may concern to take due notice thereof. And whereas by our commission under our great Seale, Bearing date the first day of March in the fowerth yeare of our Reigne, Wee have constituted and appointed our trusty and well beloved Samd Allen Esq to be our Governor, & Jn* Usher Esq to be our Lieut Governor of our said Province of New Hampshire, Wee doe by these presents, revoake soo much of our said Commission whereby the sd Jn* Usher Esq. is constituted and appointed to be our Lieut. Governor of our Said Province of New Hampshire, and all the Powers and Authoritys thereby granted to him, declaring the same to be for the future voyde, of none efect soe fan- as it relates to the said Jn* Usher: In Wittness whereof wee have caused these our Letters to be made pattents. Wittness Thomas Arch-Bishop of Canterbury, and the rest of the Guardians and Justices of the Realme att Westminster, the twenty sixth day of June in the eight year of our Reigne. Elizabeth French, "Genealogical Gleanings in England," The New England Historic and Genealogical Register, Vol. 63 (July 1909) 283. Homer Worthington Brainard, "Henry Gaines of Lynn Mass and Some of his Descendants," The New England Historic and Genealogical Register, Vol. 85 (January 1931) 30.